Dieselbikes is working to bring the New England mountain bike community closer together. Our goal it to support and expand mountain biking throughout New England with your your help. 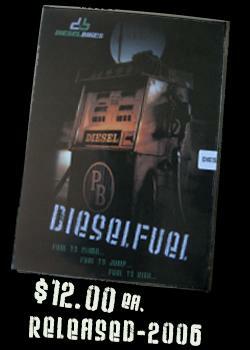 With that said, we have launched a product line of Dieselbikes' apparel and movies. Expansion of these products and others will be an ongoing process during the year. 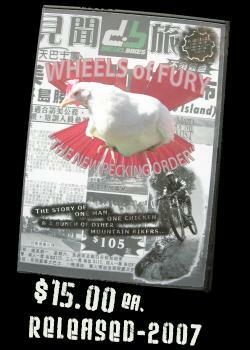 All funds collected will go to our continuing efforts to promote, expand and maintain New England mountain biking. With your help, we will take this current mountain biking club and progress into a local business that is here to support your trails! You can purchase the items listed below via MasterCard, VISA or PayPal Account. 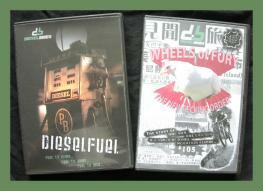 We at Dieselbikes thank you in advance for your support. Some people just value their mountain bikes more then they value their bodies...and this shirt makes that statement clear! This light weight 6.1 ounce t-shirt makes the perfect gift for that mountain biker who wants to let everyone know just how much he or she cares for their bicycle. 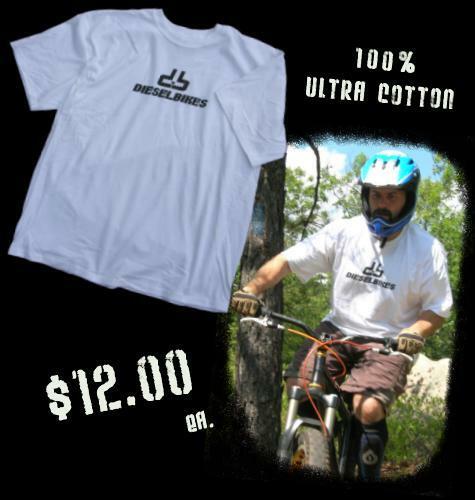 100% Ultra Cotton, this shirt is great to wear on the trail ride or kicking back with a cold beverage! Short sleeve Royal Blue with a printed light gray graphic, this shirt will sure to make your friends laugh! 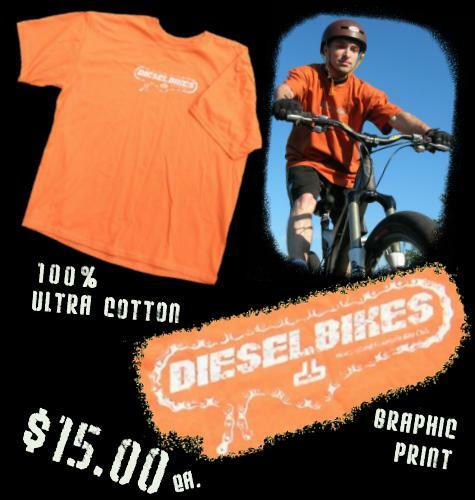 Just an enhanced version of our vintage t-shirt line...this shirt features the Dieselbikes logo wrapped around with a mountain bike chain. This light weight 6.1 ounce 100% Ultra Cotton t-shirt makes the perfect outerwear to lounge around after a great trail ride drinking a cold beverage! Notice we said cold beverage again! Short sleeve Texas Orange with a printed light gray graphic, this shirt is sure to been seen if riding in the woods! Our tried and true Vintage T-Shirt. 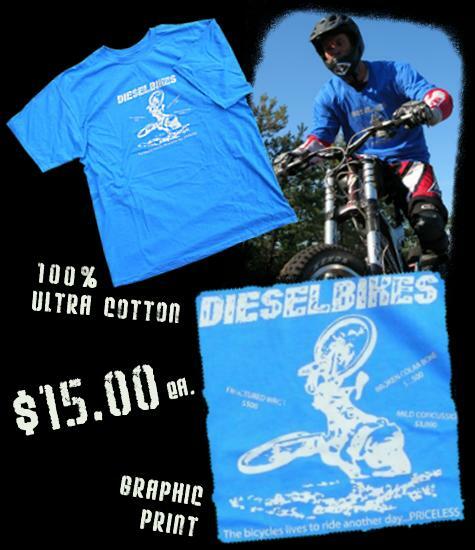 Help represent Dieselbikes with this basic black and white shirt that looks good on and off the trail. Light weight 6.1 ounce 100% Ultra Cotton t-shirt makes the perfect outerwear to lounge around after a great trail ride drinking a cold beverage! Notice we said cold beverage again! Short sleeve Basic White with a printed black graphic, this shirt is the simplest way to help represent the club and what our goals are! *Free shipping within the United States.